Have you ever contemplated talking to trees? Have you ever placed your hand on the bark of a tree and experienced the feel? How about hugging a tree and opening up your heart to it? All these and many more activities sum up the concept of Forest Bathing. 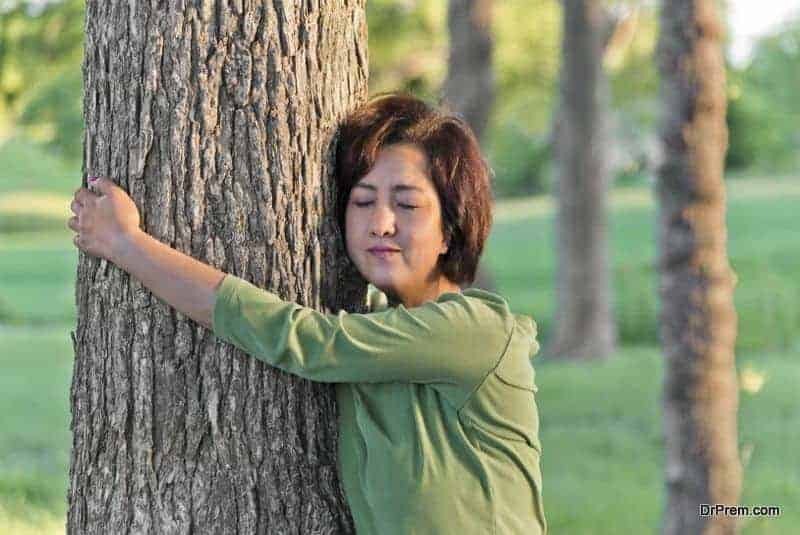 Trees are known to be the best natural healers and Forest bathing gives a unique dimension in the natural healing process. To someone living in the countryside, this latest wellness trend might look silly, but it isn’t. Even a little time out the pollution filled environment of the city into the fresh oxygen rich forest is good enough for an instant health boost. It is not about having a shower amid greenery is not what describes a forest bathing but spending long and intimate hours inside the realms of natural forest and not amidst those cultivated by farmers. 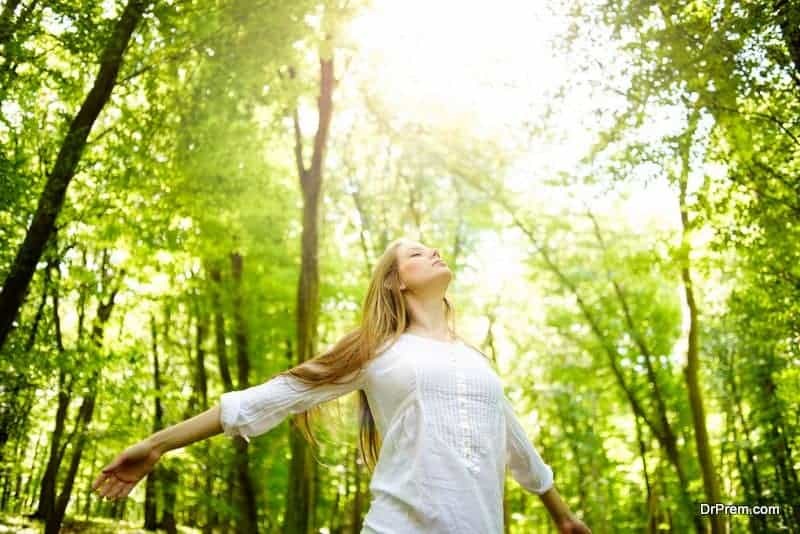 While you are inside lush green forests you open your flesh and mind and the whole sensory system to the forest and breathe in every iota of essence from the surrounding greenery. You touch the woods, smell the flowers and have intimate body contact with the green foliage. It is a common knowledge of botany that plants give off oxygen during the day. How good and beneficial would it be to be enveloped by an efficient oxygen supply natural source? It rejuvenates your entire system and feeds your cells and your respiratory system. 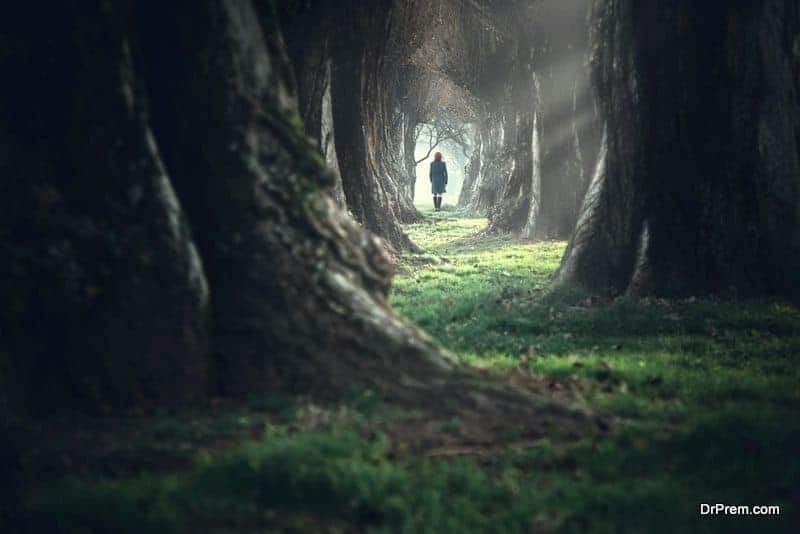 Forest therapy or forest bathing, a name by which it is popularly called, is a study originated in Japan and forms the very core of healing and wellness process. The concept is to soak up ourselves with all natural goodness in lush green woods and the natural surroundings. Mother Nature is the primary entity over here with whom we hold a quiet and harmonious rendezvous. An instant feel-good ambiance overwhelms us, the moment we step inside a natural forest cover. It brings us into fresh contact with life. Forest therapy research work has been highly pioneered by the land of the rising sun. The Japanese government has spent $4 million in an intense groundwork for a long span from 2004 till 2013. Currently, the revelations of the government aided investigation projects lead to a wide database with over a hundred field surveys. The beneficial effects of forests on the health parameters of humankind are immense. It reduces blood pressure by 1.4%, heartbeats by 5.8%, cortisol levels by 12.4% and sympathetic nerve functioning by 7 %. It eases out mental conditions too, reducing cases of trauma, melancholy, and tension. When we compare these numbers with city dwellers, constantly struggling under the grind of work pressure and a claustrophobic environment, we feel pity. How well the jungle folks stand out when weighed up individual against an individual so far as health variables are measured! The benefits of Forest Bathing are so well recognized in Japan that it is included in the insurance coverage! Forest bathing notion has been turning into a million dollar professional ‘ forest therapy ‘ where qualified professionals have a major role. In Japan, the areas designated for forest therapy are initiated in consultation with licensed professionals. In this fast-paced world, there is a need to slow down. Shirin Yoku gives you this opportunity. You take time to appreciate things around. It can be possible only if you slow down ultimately diverting you from the daily stress. 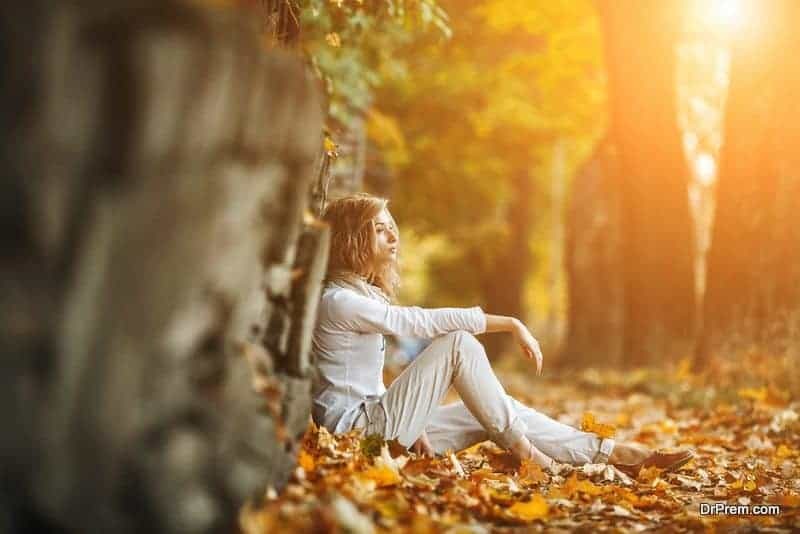 Talking to trees and breathing in the air filtered through green foliage seems a bit romantic but it certainly has great mind-calming attributes. It elevates mindfulness. A forest entirely wrapped with natural bounties sets the stage right for such kind of realization. On entering a forest, most of us have experienced a fresh floating aroma, a different kind. When we are close enough to the greens, we take in phytoncides, the aromatic chemicals given off by most of the trees, oils and vapor emissions that drift in the air in a jungle environment. These chemicals have a perennial and favorable impact on the human immune system markers, promoting natural killer (NK) cells and increasing anticancer proteins by 40 %. These groundbreaking findings in Japan had been the very backbone of the idea of forest bathing. 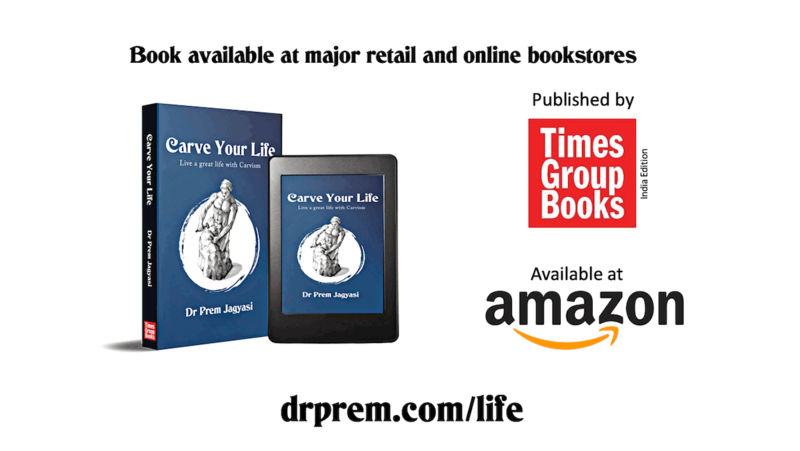 They have been a powerful basis for the development of preventive medicine in Japan. 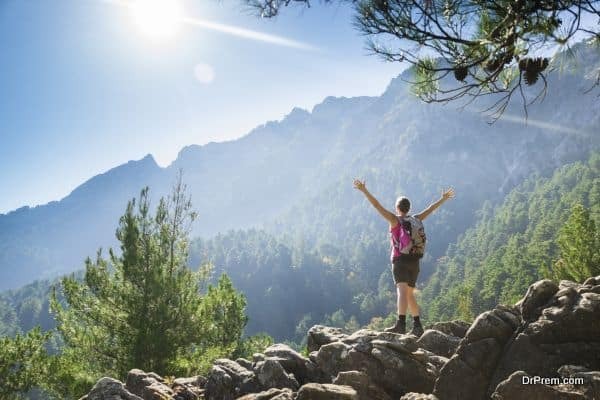 A research paper introduced by Universities of Utah and Kansas in the US reported that a three days nature hiking heightened performance on creativity evaluations by 50 %. In a similar study conducted by the universities of Michigan and Edge Hill in the UK revealed that nature walks helped combat depression and stress significantly. A thought-provoking article has been released reporting a rising number of doctors are prescribing forest therapy for maintaining good health and recovery of lost health. They did exactly the same in the pre-pharmaceutical era. Woodsy Swiss Alps and Adirondack wilds were recommended. Grow your mindset to ensure that you will enjoy the forested ambiance. Do not carry your mobile digital devices while entering the forest. Devote your heart and soul in the forest environment instead of getting distracted with the digital noise. No need to give attention to your calorie burning or the time consumed in the walking trail. No need to hurry at all to cover up the trail fast. Relax, see and appreciate every moment of the trail. You can also select a good spot in the forest to spend some time with the surrounding flora and fauna. Listen to the bird calls and insect buzz. Inhale the fragrance of the new blooms and foliages. Observe the behavior of the animals around you. How the bird is behaving? Is the squirrel scared to see you? What the bird perched on the branch overhead is aiming at? Where the school of ants is moving? Observing such minute events brings in fresh waves of peace in your mind. You can close your eyes or lie on the ground and keep listening to the sounds around you. The sound of the leaves dropping, the mild clatter of a brook or the cascading sound of the waterfall would keep your mind fully observed. If you are traveling with friends and groups, avoid chit-chats. You can do this later but not at the moment when your body and mind are relaxing in perfect unison in the forest. 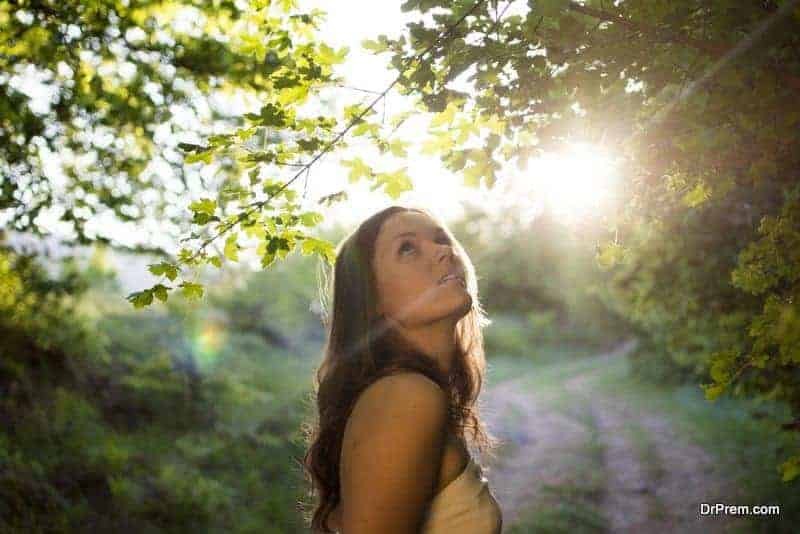 Forest Bathing is becoming a common wellness activity in other European and US destinations with spas and resorts offering innovative Forest Bathing and spa experiences. Yoga, meditation programs and endurance trails in the forest are being introduced. A resort in Finland is setting up glass igloos in the forest. Sweden’s Lapland Forest provides another exotic experience of Forest Bathing. High-end resorts in the US are not lagging behind in offering Forest Bathing programs clubbed with some other wellness activities. Nothing to feel sad of. Even a stroll in a serene natural setting for example in a well-maintained park covered with greenery or a natural garden can make you relaxed and calm. The rate at which forests are being depleted, which is equivalent to 36 football fields a minute is shocking! This growing menace is making forests a scarce resource and forest bathing a precious experience. Japan is incredibly lucky with 67% of the country covered by forests. You can also opt for a holiday in a forest or opt for Forest Bathing in some world reputed resorts. The choice is yours.